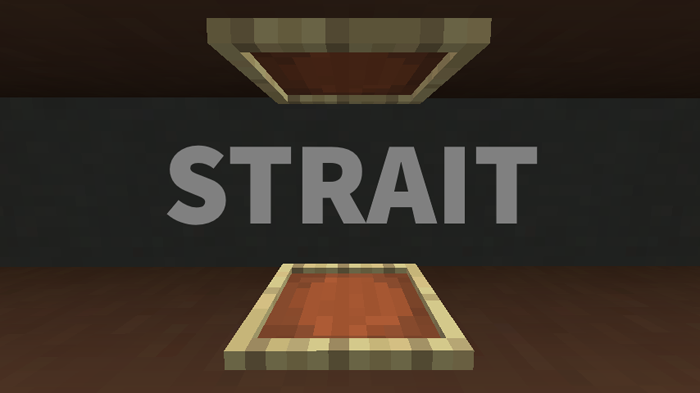 Strait Mod is an incrediblly new engaging mod which certainly makes you gameplay experience a lot better. This mod gives you ability to place item frames on the bottom or top of blocks. It sounds a absolutely new content in Minecraft game. When installing this mod, there are compasses that have function of pointing the right direction just in frames above blocks, not in frames belows blocks such as on the ceiling. Please notice that you cannot fix this feature by making Strait a core mod. Actually, this mod also has a pointer on the map that point south, which will represent maps placed in frames. If you want to make a map room that has maps wrap from floor to wall or ceiling to wall, a small portion of the map won’t render because item frames are raised a bit off the block.